By contrast, try mentioning Beringia to your friends and kids. How many of them have heard of it? It’s a real, honest-to-goodness sunken land–a huge chunk of northern real estate that once connected Alaska to Siberia and that now lies at the bottom of the Bering Sea. It drowned, as many of you undoubtedly know, when huge ice sheets melted at the end of the last Ice Age and topped up sea levels by some 330 feet. I’ve been thinking about Beringia today because of a marvelous study that Kevin Campbell, a University of Manitoba biologist, and his colleagues just published online in Nature Genetics, and that my colleague Andrew Curry reported in an excellent article in ScienceNow. 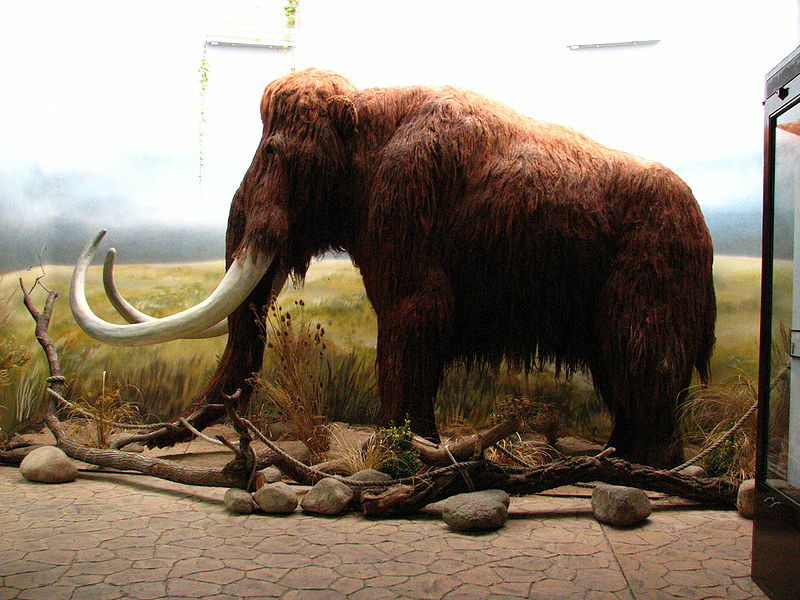 Essentially Campbell and his team wondered how a mammoth, whose ancestors evolved in the warmth of Africa, managed to adapt to the bitter cold of Ice Age Europe, Beringia and the Americas. Good question, eh? 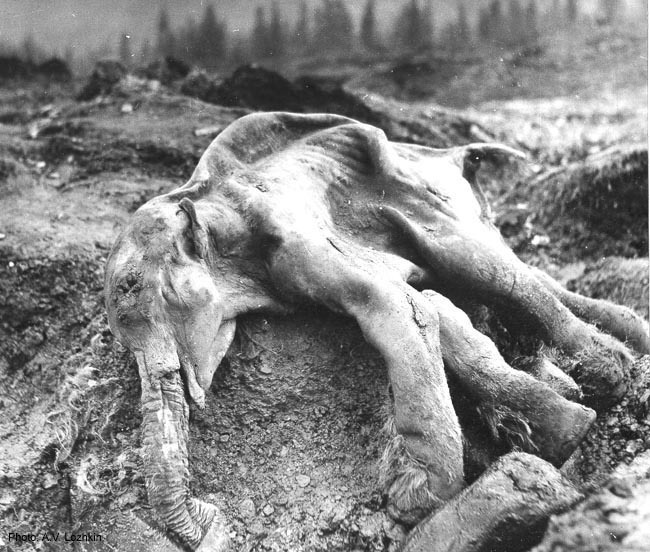 To answer it, Campbell and his team extracted mammoth DNA from a bone preserved in the Siberian permafrost, then isolated the mammoth gene that regulated hemoglobin. The team then inserted this gene into Escherichia coli bacteria that they cultivated in a laboratory Petri dish. The E. coli produced enough mammoth hemoglobin to analyze and to compare with the hemoglobin from African and Asian elephants, close relatives of the now extinct mammoths. Here’s what the team found. Elephant hemoglobin works best at warm temperatures, transporting oxygen more efficiently as muscles heat up. But mammoth hemoglobin works very differently. It transports oxygen at a steady rate, no matter what the temperature. This means that mammoths were able to deliver oxygen to their extremities, even when temperatures plunged– avoiding frozen feet. When you combine this physiological adaptation with physical features such as a thick shaggy coat and little ears, you begin to see why mammoths became the lords of Beringia in their great herds. I suspect we are about to see many more such studies. Photo of Mammoth Model at ZOO Dvůr Králové, Czech Republic, taken by Mistvan. It seems like this would more attention, because figuring out the components of blood that allows you to live in really cold places seems like a useful skill (exploring space or the bottom of the ocean for example). I like the parallels that you make between Atlantis and Beringia – that seems like a useful segue to change the subject when Atlantis does come up. Which it does fairly frequently in Newfoundland and Labrador – the family who owns most of the media outlets in the Province have a peculiar fascination with Atlantis and it shows up all over the place. They want to be the broadcasters sending their signal “From the Tip of Atlantis”. Nevermind that the actual history of the province is far more interesting than anything speculated about Atlantis. There were no Vikings or Jiggs dinner in Atlantis, for a start.